The old bank building on the corner of MLK and Russell where the Marinello School of Beauty used to be has been sold. It was purchased by a long time business owner in Eliot who has rented it as office space for himself and Fishpeople, a packaged seafood company. They hope to move in before the end of the year and have a community open house, but that depends on timely receipt of building permits and construction. Fishpeople uses ingredients from the Pacific Northwest and each package has a code that you can enter into their website to track the source of each ingredient and even the boat and fisherman who caught the fish used in the product. Their products can be found in grocery stores around Portland such as New Seasons, Safeway, QFC, Whole Foods, Fred Meyer and the Alberta Cooperative Grocery. 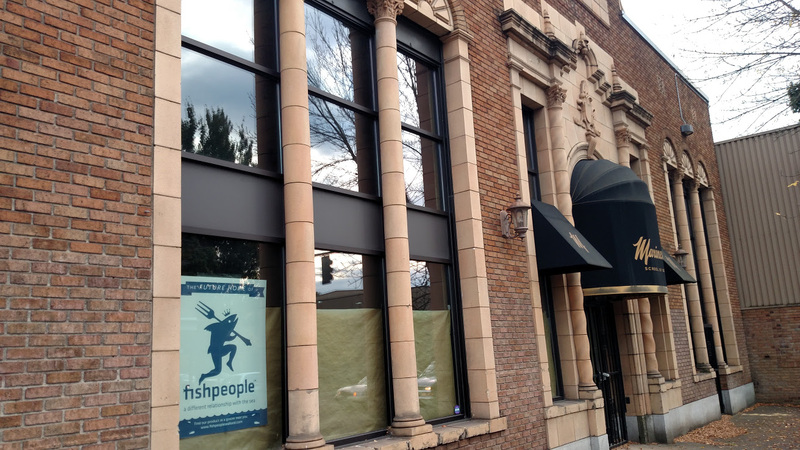 Stay tuned for more about Fishpeople in an upcoming post.